Finding the new Hindenberg line too difficult a problem to solve, the Allied Armies in June returned more hopefully to the scenes of their former triumphs —the British toward Ypres, the French toward Verdun. In both these areas of operation, the battles which ensued were as bloody, almost, as any that had preceded them. Everywhere, both on land and on sea, the military and strategic situation had undergone a sudden and startling transformation. With the overthrow of the Czar's government during the Socialist Revolution in March, the Russian armies had been eliminated from the Eastern battle front. Relieved from further anxiety in this direction, Germany had transferred half a million troops from the Eastern to the Western theater of War, thus restoring her numerical superiority over the Allies. Germany then was at the zenith of her military power; England's military power on the Western front had reached its maximum strength; French man-power was declining, and America had not yet assembled her mighty host on the soil of France. Germany, therefore, was in a position to spend men and blood without stint in her effort to crush the spirit both of France and England before America could stay her hand. Germany's submarine warfare, too, had wrought such dire destruction to Allied shipping that England was facing at last the menace of starvation. From their submarine bases, on the Belgian coast, at Zeebrugge, Ostend and Bruges, the German U-boats could sally forth at will to prey upon the helpless cargo vessels of all nations. If these submarine nests were not quickly destroyed, the commerce of France and England would be brought to a standstill. The British Navy had failed to cope successfully with the peril. It was now proposed that the British Army should attempt to remove the danger. The Germans still occupied the series of commanding heights, extending through Belgium to within a few miles of the sea, which they had seized in 1914 after their retreat from the Marne. If their right flank at Lille were turned and rolled back, they would be compelled to evacuate their bases on the Belgian coast and retreat behind the Scheldt. But first it was necessary to dislodge the Germans from the heights which enclosed Ypres on three sides. The most important of these were the Messines, Wytschaete, Scherpenburg, Pilkem and Kemmel Ridges to the south and east of Ypres, and the Passchendaele Heights to the north. Possession of these heights gave the Germans a perfect view of every movement of the Allied Armies in the adjacent valleys. The town of Ypres itself had been reduced to ashes by the ceaseless pounding of the German guns posted on the heights above, but the salient in which it lay had been held by the Allies to prevent the Germans breaking through to the sea. Although comparative quiet had reigned in the Ypres salient for a year or more, the British Army, meanwhile, had by no means been idle. For upward of two years, in fact, the Australian and British sappers had been secretly engaged in tunneling under the Messines-Wytschaete range of hills, which rise in gentle slopes 150 feet above the plains. They had dug a gallery five miles long under the Messines Ridge, and at intervals along this laid 20 mines, containing in all 600 tons of high explosives. This battery of mines was to be exploded, at the appropriate moment, and the Germans on the crest of Messines blown into eternity. General Plumer, the British Commander, had made elaborate preparations for the infantry attack following the explosion. The single track that formerly sufficed behind the lines had expanded into a series of railroad junctions traversed by broad and narrow gauge trains, as busy as a London terminus. All the roads and paths in the district were greatly improved. In order to provide an adequate water supply for the Army, the existing lakes were tapped, pits to catch the rain water were dug around Kemmel Ridge, and the water of the Lys River pumped into barges and then sterilized. Pipe lines were run forward, from lakes, pits and barges, and provision made for their rapid extension in the event of victory. All being in readiness, it was decided that the explosion of the mines under Messines Ridge should take place on June 7, 1917 at 3.10 AM. Promptly on the minute, in the dead of night, the mines were discharged by electrical contact and, with a roar "like the sound of many earthquakes," that was distinctly heard in London, 140 miles away, the crest of Messines Ridge was blown skyward. Amidst the torrents of spouting flames, large sections of the German dugouts went up in debris, killing outright or entombing 20,000 German soldiers. Twenty gigantic streams of flame were seen to shoot up, each a volcano in itself. The whole horizon gleamed with coruscating flame, stabs of bursting shells, and streams of light flares, the whole sky being ringed with lightning, which flashed white, yellow, orange, red and green. Without a pause, the British artillery smothered with shells all the German works and trenches in the salient along a ten-mile front, preparatory to an infantry advance. Then, under a curtain of fire, General Plumer's shock troops, supported by tanks and squadrons of airplanes, dashed across the open field and ascended the slopes of the entire range of hills. The Irish regiments captured Wytschaete Ridge in two hours; the New Zealanders reached Messines a little later, and before sunset every objective had been taken, together with 7,000 prisoners, 67 guns, 94 trench mortars and 294 machine guns. For the most part, the terror-stricken German survivors crawled out of their burrows, in the still quivering earth, and weakly raised their hands in token of surrender. At other places, where the dugouts had not been demolished by the artillery fire, hundreds of Huns crouched in the dark and could only be persuaded to surrender after bombs had been hurled among them. The British met with stubborn resistance in the vicinity of Chateau Matthieu, but they finally overcame the foe. The capture of Messines Ridge not only gave the British control of the last natural position that commanded their lines, it straightened out the British line between St. Julien and Armentieres and wiped out the Ypres salient. In three months, the British had successfully captured Bapaume, the Vimy and Messines Ridges, as well as the Monchy Plateau. Technically considered, General Plumer's capture of the Ridges was as brilliant an operation as Petain's victory at Verdun and it raised him at once to the proud distinction of "the first Field General of the British Army." Unwilling to rest on his laurels, General Plumer thrust out east and south of Messines. On June 12, 1917, the British troops stormed and occupied two miles of German trenches, in the neighborhood of Gaspard. On June 15, 1917, the Germans made some gains east of Monchy, but five days later the British recovered the position. Attacking by starlight, they stormed and carried a section of German trench. The Canadians, meantime, had seized Reservoir Hill and were pressing on the heels of the retreating Huns in the direction of La Coulette. Everywhere, along their 120-mile front, the British were exerting a strong pressure on the enemy position. Especially they were drawing their circle closer around Lens. On June 20, 1917, the Canadians routed from their trenches a column of Germans that barred the way to Lens. Repeated counter attacks by the Germans failed to recover the lost position. With the British forces virtually enveloping the town, the Germans could no longer carry on their coal-mining operations in the immediate region of Lens. In the last week of June, the operations of the British Armies were brought to a standstill by reason of the heavy rains. The Germans on July 10, 1917 violently bombarded the British lines north of Nieuport, on the Belgian coast, leveling all the British defenses in the dune sector, destroying the bridges over the Yser River and capturing a mile of trenches. The British losses were 3,000 in killed and captured. During this engagement the superiority of the German air forces was apparent. The British airmen retaliated the next day by dropping several tons of bombs on five towns in Flanders occupied by the Germans, setting fire to German ammunition dumps. The Germans, ceaselessly, for three weeks, drenched the whole region with shells, in a wide sweeping storm of fire, endeavoring to destroy the hidden British batteries. Nieuport and Ypres especially were deluged with shells. The British gunners responded with surpassing fury and a rivalry of destruction followed that baffles description. At the close of this artillery duel, on July 31st, the British and French troops advanced on a front of 20 miles from Dixmude to Warneton, capturing ten towns and 5,000 prisoners. All objectives were carried. Large squadrons of British and French planes led the advance against the German lines and many air battles were fought, the Germans being wholly outclassed. A New Franco-British offensive was launched east of Ypres on August 1, 1917, the British gaining new territory, besides taking 60,000 prisoners and 100 guns. The German dead lay in piles, hundreds of them being shot in the back by their own artillery fire during the frenzied German failure to check the advance of the British. On August 4, 1917, Canadian troops to the southwest of Lens drove the enemy patrols helter-skelter back to Lens and occupied a position within half a mile of the center of the city. After five days of torrential rain, the Germans reopened the battle north of the Ypres-Commines Canal, and for a brief spell gained a footing in Hollebeke, but were presently driven out again. 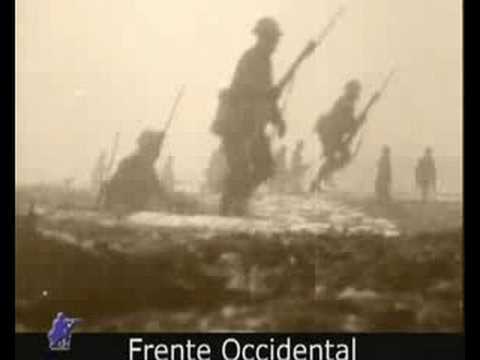 Step by step the British closed in on Lens. 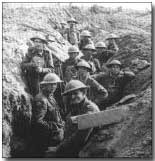 On August 14, 1917, the Canadians stormed and captured Hill 70, and repelled all the German counter-assaults. In this bloody engagement, 10,000 Canadians and 20,000 Germans fell. Excepting at Verdun, the German losses had never been so heavy as in this battle. The entire Seventh Prussian Division was annihilated. So intense was the fire of the Canadian guns that German ration parties refused to go to the relief of their comrades, and most of the prisoners taken were half famished. Another sanguinary battle was fought soon after midnight on August 18, 1917, when the Germans in great numbers hurled themselves repeatedly against the Canadians on the line north of Lens. Hand-to-hand conflicts of the fiercest description followed. The Canadians used their bayonets most effectively on this day, prodding the Huns back with heavy losses. The British smashed the German line east of Ypres on an eight-mile front, September 20, 1917, penetrating the center to the depth of a mile and taking 3,000 prisoners. Two days later, massed attacks on the new British positions were made by the Germans, with only slight success and at a frightful cost. 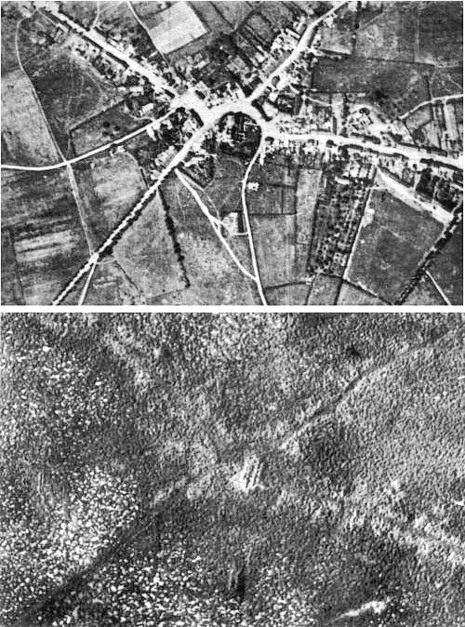 British aircraft swept in flocks over the wide area of battle, dropping tons of explosives at Roulers, Menin and Ledeghem. Ten German airships were brought to earth, eight were put out of control, while the British lost 12 machines. 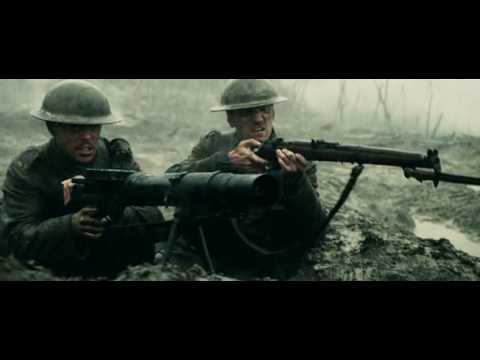 "Flaming Bullets" were used by the Germans for the first time during this battle along the Menin Road. As they struck, they set fire to the clothing of the British soldiers. Again, on September 26, 1917, the British attacked east of Ypres, on a six-mile front, piercing the German line to a depth of a mile and taking 1,600 prisoners. The British were almost ready to drive in a wedge between the German advanced line in Flanders and the Osten-Lilie Railway. Could this be done, the Germans must evacuate Belgium as far as the Scheldt, evacuating the cities of Lille, Roubaix, and Turcoing. Field Marshal Haig struck his next blow at the German line east of Ypres on October 4, 1917, advancing one mile on a front of eight miles, and taking 4,500 prisoners. Though the heavy rains had transformed the battlefield into a vast swamp, in which the men sank up to their knees, Marshal Haig began another offensive early in the morning of October 12, 1917, along the whole terrain in Flanders. The British troops, in three hours pushed the Germans back nearly a mile toward Passchendaele. Another heavy rain delayed operations for a week ; then the British and French together advanced north of Ypres, winning a series of fortified places. The capture of Passchendaele Ridge, by the Canadian troops, under command of General Sir Arthur Currie, formed the brilliant climax to the Fourth Battle of Ypres. On October 26, 1917, Canadian and English troops attacked on a front extending from the Ypres-Roulers Railway to beyond Poelcappelle. The Canadians advanced on both banks of the Ravebeek River, which flows southwest- ward from Passchendaele. On the left bank of the stream they made themselves masters of the small hill south of Passchendaele. North of the Ravebeek, they smashed their way across Bellevue Spur and other fortifications, meeting with stiff resistance. While pressing up the slope of the spur, the Canadian troops at times were almost hip-deep in the mire, but they struggled onward for six hours until, in the face of a shattering machine-gun fire, they were ordered to withdraw temporarily. Then reinforcements were brought up, the waves reorganized, again the Canadians advanced, and, inch by inch, the semi-liquid slope was at length brested. It was necessary to clear many German "pill-boxes" before the crest of the spur was reached and passed. Two strong counterattacks south and west of the ridge were beaten off and by nightfall the Canadians had gained practically the whole of their objectives. The victory had cost them 24,000 in casualties, while the German losses were fully as great. The fighting on the outposts of Flanders continued. On October 30, 1917, Canadian and English troops attacked on a front extending from the Ypres-Roulers Railway to the Poelcappelle—Westroosebeck Road. On the right, the Canadians continued their advance along the high ground and reached the outskirts of Passchendaele, capturing an important position at Crest Farm on a small hill southwest of the village. Fighting was severe at all points, but particularly on the spur west of the Yser, where five strong counter-attacks were beaten off, the Canadians using captured German cannon in repulsing the enemy. 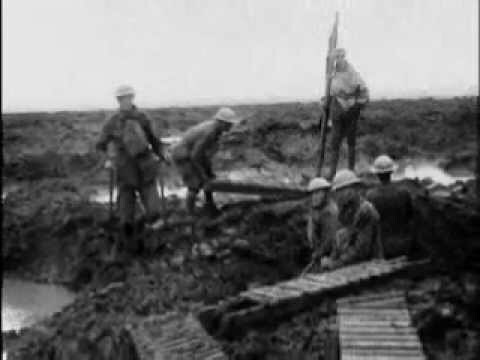 On November 6, 1917, the Canadians renewed the attack and captured the village of Passchendaele, together with the high ground surrounding it. Four days later, the Canadian and British troops attacked northward from Passchendaele, and captured further ground on the main ridge after heavy fighting. The Canadian Cavalry, chiefly Fort Garry Horse, which aided General Byng at Cambrai, performed a feat on November 20, 1917 which ranked with the best exploits of the War. A single squadron, in a gallant charge, captured a German battery, then raced two miles inside the enemy's lines over infantry and other obstacles, and the 43 survivors of this daring raid fought their way back through guns and soldiers to Masnieres. The capture of Passchendaele gave the Allied forces a firm footing on a series of great spurs, extending from Gheluvelt to Roulers, and relegated the enemy to lower levels. The apex of the salient was bent back in dangerous proximity to Roulers, the fall of which would have cut Germany's communication from her submarine bases at Ostend and Zeebrugge with the South. 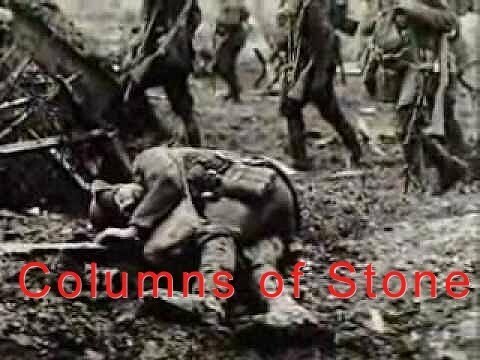 Were it not for the sea of mud which lapped around the salient and hindered the Allied operations, the Germans must surely have been expelled from Belgium. Since July 31, 1917, the Allies had taken 25,000 prisoners, 71 guns and 138 trench mortars. In the early stages of the battle, they had whipped 78 German divisions, but 600,000 fresh German soldiers had arrived from the Russian front, and the enemy now held the superiority in numbers. They could not yet be expelled. The losses on both sides had been unusually severe, mounting into the hundreds of thousands. Whereas the first and second battles of Ypres were launched by the Germans in 1914 and 1915 respectively, Third Ypres was intended as Sir Douglas Haig's Allied forces breakthrough in Flanders in 1917. Haig had long mulled the idea of launching a major offensive in Flanders. It was his preferred choice for 1916, although in the event the Battle of the Somme took precedence that summer. Meticulously planned, Third Ypres was launched on 31 July 1917 and continued until the fall of Passchendaele village on 6 November. The offensive resulted in gains for the Allies but was by no means the breakthrough Haig intended, and such gains as were made came at great cost in human terms. The Battle of Passchendaele was one of the major battles of the First World War, taking place between July and November 1917. In a series of operations, Entente troops under British command attacked the Imperial German Army. The battle was fought for control of the village of Passchendaele near the town of Ypres in West Flanders, Belgium. The objective of the offensive was to achieve a breakthrough, outflanking the German Army’s defences, and forcing Germany to withdraw from the Channel Ports. The offensive also served to distract the German army from the French in the Aisne, who were suffering from widespread mutiny. The British launched several massive attacks, heavily supported by artillery, aircraft and often tanks. The British never managed to make a decisive breakthrough against well-entrenched German lines. The battle consisted of a series of 'Bite and Hold' attacks to capture critical terrain and wear down the German army, lasting until the Canadian Corps took Passchendaele on 6 November 1917, ending the battle. Although inflicting irreplaceable casualties on the Germans, the Allies had captured a mere 5 miles (8 km) of new territory at a cost of 140,000 combat deaths, a ratio of roughly 2 inches (5 cm) gained per dead soldier. The Germans recaptured their lost ground, without resistance, 5 months later during the Battle of the Lys, losing it for good in late September 1918. 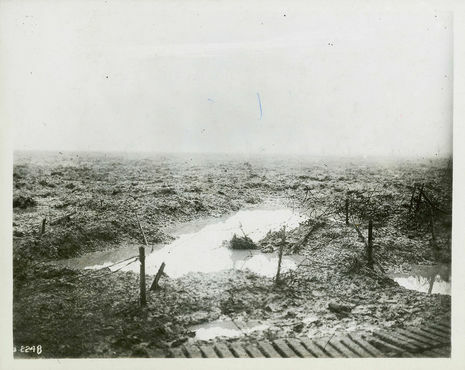 Passchendaele has become synonymous with the misery of grinding attrition warfare fought in thick mud. Most of the battle took place on reclaimed marshland, swampy even without rain. The summer of 1917 was unusually cold and wet, and heavy artillery bombardment destroyed the surface of the land. Though there were dry periods, mud was nevertheless a constant feature of the landscape; newly-developed tanks bogged down in mud, and soldiers often drowned in it. The battle is a subject of fierce debate among historians, particularly in Britain. The volume of the British Official History of the War that covered Passchendaele was the last to be published, and there is evidence it was biased to reflect well on Field Marshal Douglas Haig and badly on General Hubert Gough, the commander of the Fifth Army. The heavy casualties the British Army suffered in return for slender territorial gains have led many historians to follow the example of David Lloyd George, the Prime Minister of the time, and use it as an example of senseless waste and poor generalship. There is also a revisionist school of thought which seeks to emphasize the achievements of the British Army in the battle, in inflicting great damage on the German Army, relieving pressure on the distressed French, and developing offensive tactics capable of dealing with German defensive positions, which were significant in winning the war in 1918. Casualty figures for the battle are still a matter of some controversy. Some accounts suggest that the Allies suffered significantly heavier losses than the Germans, while others offer more even figures. However, no-one disputes that hundreds of thousands of soldiers on both sides were killed or crippled. The last surviving veteran of the battle, Private Harry Patch, died on 25 July 2009.